Rabat – HRH Princess Lalla Hasnaa, chairwoman of the Mohammed VI Foundation for Environment Protection, chaired on Wednesday at the ISESCO headquarters in Rabat, the opening session of the 7th Islamic Conference of Environment ministers, which is held under the patronage of HM King Mohammed VI on the theme “Towards an effective Islamic cooperation to achieve sustainable development goals”. 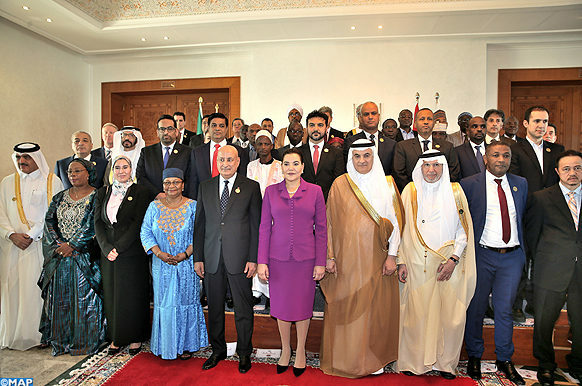 The opening session of the two-day event was marked by a royal message sent by HM King Mohammed VI to the participants, which was read out by HRH Princess Lalla Hasnaa. 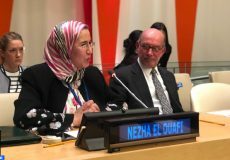 In this message, the sovereign underlined that this conference “provides a good opportunity to take stock of environmental challenges and to go ahead with consultation and the exchange of experiences on the issue of climate change, its consequences and risks, which pose a real threat to all countries across the globe, including Muslim sister nations. The session was marked by awarding HM the King the conference’s Golden Shield, which was handed to her royal highness. 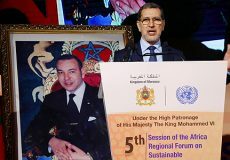 The award is a recognition of the monarch’s pioneering initiatives in favour of the environment protection and sustainable development inside and outside Morocco. The conference’s shield was granted to the first lady of the Republic of Mali Aminata Kéïta Maïga, chairwoman of the organization “Agir pour l’environnement et la qualité de vie au Mali”, guest of honour of this session. The opening session was also marked by handing the KSA’s prize for environmental management in the Islamic World for 2016-2017 edition graduates. Awarding 17 projects from 14 Islamic countries, this prize is given to the best researches in the fields of environment and sustainable development in the Islamic world. 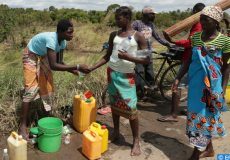 A cooperation program over 2018-2019 was signed between the ISESCO and the Mohammed VI Foundation for Environment Protection, to give impetus to cooperation between the two bodies. At her arrival, HRH Princess Lalla Hasnaa reviewed a municipal guard detachment that paid the honours and was greeted by ISESCO director general Abdulaziz Othman Altwaijri. Afterwards, Her Royal Highness was mainly greeted by state secretary for sustainable development Nezha El Ouafi and OIC secretary general Yousef bin Ahmad Al-Othaimeen, KSA minister of environment, water and agriculture. HRH Princess Lalla Hasnaa was also greeted by Mali’s first lady Aminata Maiga Keita.